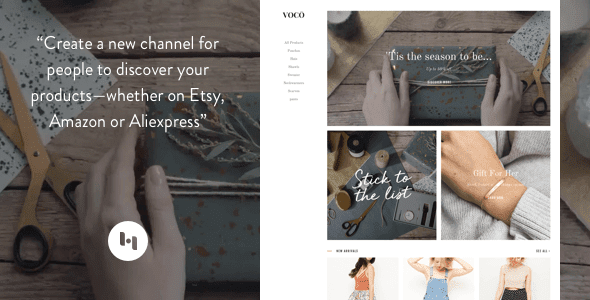 Description: VOCO: Product showcasing Blogger Templates is best theme yet to showcase products sold in various marketplaces, from Etsy to Amazon. Featuring subtle minimal design, banner spaces for campaigns, unlimited product pictures, pricing, and easy to set up contact page, making it as a perfect product-showcasing site — a new channel for people to discover your products. The homepage covers up to three banners by default and two variants with optional captions for you to deliver a powerful campaign. Add, edit or remove them as your creative needs require. By purchasing you will get free access to our custom widget (Instagram, Social media, Flickr), truly widget with an interface, easy to set up, no code, no headache.